Rooted in Atlanta, Georgia, the trio known as O.D.D. represents a growing trend of heavy metal purists relying on no frills talent as their greeting card for success. Formed in 2013, Harley David Smith (guitar, vocals), Gunny (bass, vocals), and The Muffer (drums, vocals), have developed a brand of hard rock music that serves as a delightful oasis for anyone who appreciates the genre’s history. Their new EP, The Disorder, proves to be a favorable testimony that solidifies O.D.D.’s raw genius. Though influences from such legendary acts like Led Zeppelin, Black Sabbath, and others seem to echo in O.D.D.’s musical landscape, The Disorder EP is seasoned with an original dose of the band’s flavor. The project comes complete with four electrifying songs. The opening track Executive Order is filled with heavy guitar riffs and unique backing harmonies to put you on the edge of a studio recording session situated at the front seat of a live show. Label Killer is another gem off this EP that really shows off the band’s enchanting vocals over heavy guitar riffs. The song features one of the intricately woven guitar riffs ever recorded. 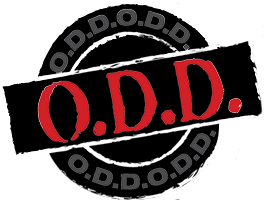 Its raw and melodic at the same time, a clever trademark of the O.D.D. sound. Loud Fighter, the most aggressive track on the EP, is full of revitalizing energy as understood by the heaviest of rockers. One of my favorite songs from The Disorder EP is The View. It’s a track where we really get to feel the fullness of the O.D.D.’s potential, a fabulous tune. The Disorder by O.D.D. is an incredible venture that lives up to all the expectations one can imagine from a trio of musical veterans. The Disorder is not only a great EP, but one of the best tools that O.D.D. has at their disposal for turning their sound into a movement. Categories: metal, Metal (music), music, music industry, music news, music reviews, musicians, O.D.D. (band), Rock Music, The Disorder (EP), The Disorder by O.D.D.